Non quick lighting coals offer an enjoyable way to smoke hookah. Favored by hookah lounges and experienced hookah smokers, non quick lighting coals give you a slow, full burn and long-lasting fun. 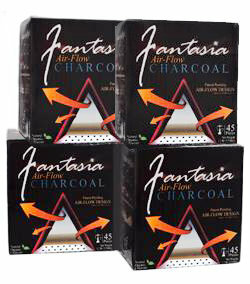 These charcoals are usually heated using an industrial stove or coal burner device. They also typically last longer than quick lighting charcoals. 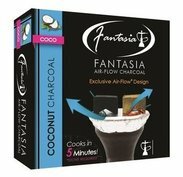 Our wide selection of non quick lighting coals include a variety of well-known brands, including CocoNara, CocoMazaya, Starbuzz, Fantasia, and more. Coconut hookah coals are the most popular style of non quick lighting charcoals in the market. Check out our CocoNara and CocoMazaya brands of natural coconut Hookah coals and take the Hookah smoking experience to the next level. Coconut hookah coals are quickly becoming the most popular style of non quick light hookah coals on the market. The CocoNara and CocoMazaya brands lead the coconut coal movement, taking the hookah smoking experience to the next level. Since the creation of coconut coals, CocoNara and CocoMazaya have become household names that are synonymous with quality. You can also find coconut coals by Starbuzz, Ecocha, Exotica, and Haze, to name a few. 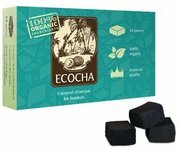 Coconut coals use coconut shells compressed into individual cubes. They are odorless, tasteless, and do not produce a lot of ash. They're perfect for keeping your hookah sessions tidy and lasting long into the night. Since these coals are so easy to replace, your hookah is always in prime condition. We know you're used to having lots of hookah charcoals to choose from. Don't worry with non quick lighting hookah coals, you still have lots of options. Aside from a wide variety of coconut coals, our selection also includes coals made from lemon wood and other natural materials. Unlike coals that are designed to heat up faster than normal, non quick lighting hookah coals are for a more patient type of smoker. 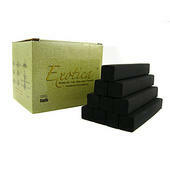 These coals are for smokers who want to sit back, relax, and enjoy hookah to the fullest. These coals typically give you 40-50 minutes of burning time per cube, letting you stretch your hookah sessions to their limits and maximize your flavor. Order Your Non Quick Lighting Hookah Coals Today! 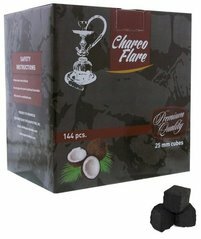 Want to try non quick lighting hookah charcoal? Take your pick from our wide selection! 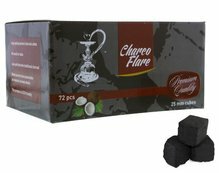 Coconut coals are an excellent choice that are sure to impress. Try out a stick or two, and if you like how they perform you can grab a whole box for your future hookah sessions. Be sure to contact us online or call 888-577-6653 if you have any questions!